The highlight of a walk around Montrose Point this morning were 40 or so White-winged Scoters, almost all concentrated in a small area of open water on the lakeside of the fishhook pier. 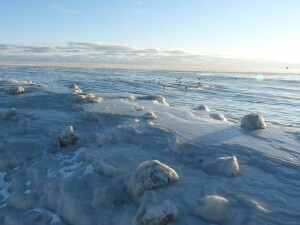 This reminds me of what happened last winter when the lake froze over, stranding and killing many ducks. I don’t think the situation is as dire as last year but if we continue to have unseasonably cold weather it will be. 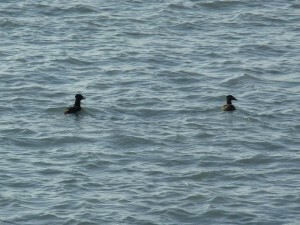 I took the photo from the base of the fishhook pier; most of the birds are White-winged Scoters. This entry was posted in Winter Bird Reports and tagged Waterfowl, White-winged Scoter on February 25, 2015 by rhughes. Karen and I had 2 Surf Scoters, an immature male and an immature female, at the mouth of Belmont Harbor this morning, February 7. Both birds got up and flew north while we were watching them and may have landed near Montrose. 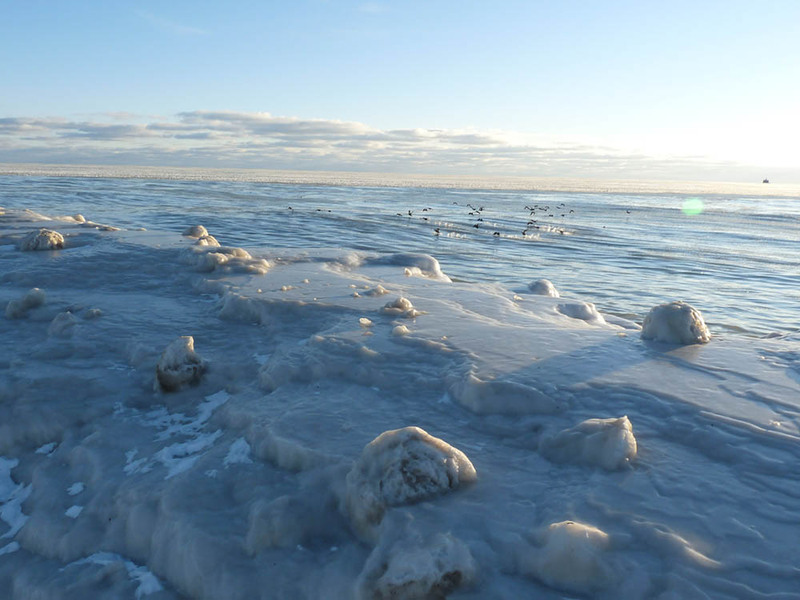 After a long schlep up the lakefront we got to Montrose and could not relocate the birds, so apparently they kept going. Our only other birds of note were a Red-bellied Woodpecker in the Marovitz Golf Course, a pretty good bird for the immediate lakefront, and the continuing juvenile Red-tailed Hawk at Montrose. It felt good to be out and about and feel the sun on our faces. 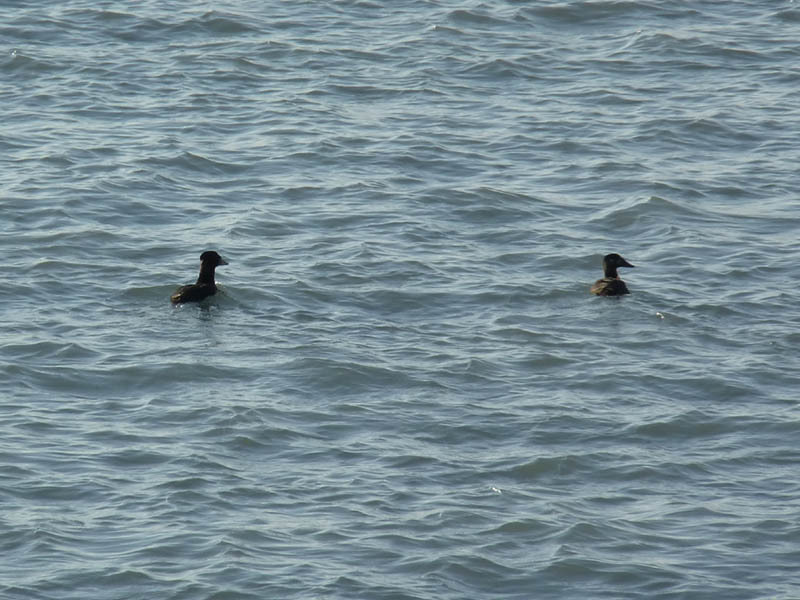 This entry was posted in Non-Montrose Birding, Winter Bird Reports and tagged Surf Scoter, Waterfowl on February 7, 2015 by rhughes.